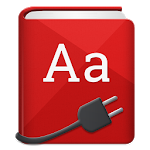 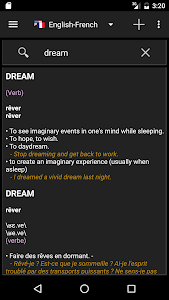 Download dictionaries you want to the SD card the first time you launch the app and then perform simple or advance searches (with wild-cards), which come in handy when you're working on a crossword puzzle. 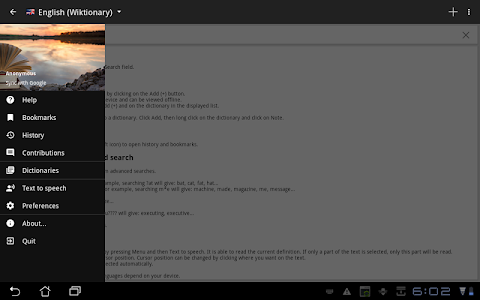 Definitions can also be read by the device using a text to speech module (some devices don't support this and some languages may not be available) and the application can be used with ebook readers. 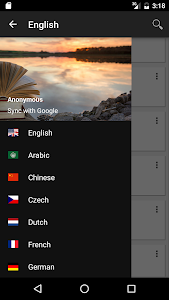 There are more than 50 multi-lingual dictionaries to choose from, including English, French, German, Spanish, Arabic, Japanese, Korean, Hindi, Hebrew, Russian, Italian, Chinese, Portuguese, Dutch, Czech as well as synonyms and anagrams databases. 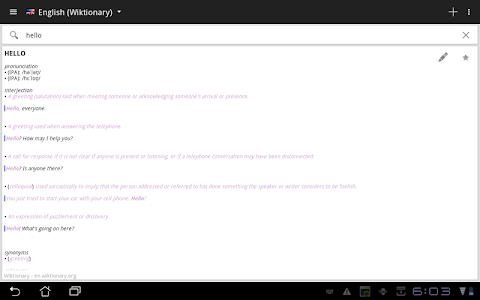 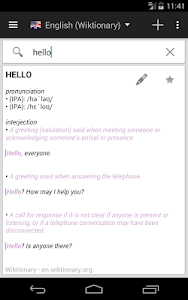 Dictionaries are added and improved regularly (ask us if you want a particular one). 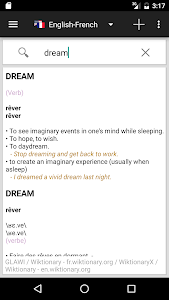 It is possible to contribute to dictionaries and to add personal notes. 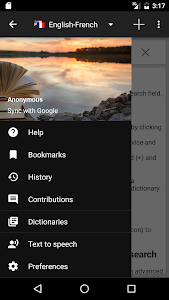 Synchronize your notes with all your devices by connecting your Google account. 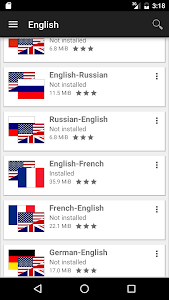 This version is ad supported but you may want to try the pro version which has no ads.